Windy Girl is blessed with a vivid imagination. From Uncle she gathers stories of long-ago traditions, about dances and sharing and gratitude. Windy can tell such stories herself-about her dog, Itchy Boy, and the way he dances to request a treat and how he wriggles with joy in response to, well, just about everything. Brenda Child is professor of American Studies at the University of Minnesota and author of Boarding School Seasons: American Indian Families, 1900-1940, Holding Our World Together: Ojibwe Women and the Survival of Community, and My Grandfather's Knocking Sticks: Ojibwe Family Life and Labor on the Reservation, 1900-1940. Jonathan Thunder is a painter, illustrator, animator, designer, and storyteller. View his work at thunderfineart.com. 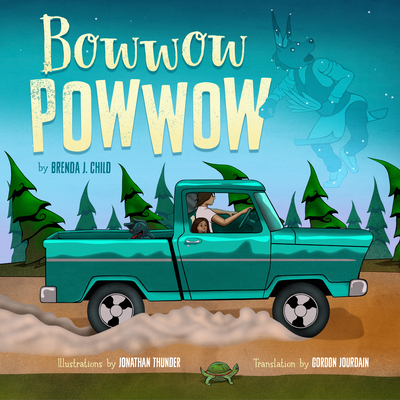 Gordon Jourdain teaches at the Misaabekong Ojibwe Language Immersion program for Duluth Public Schools.